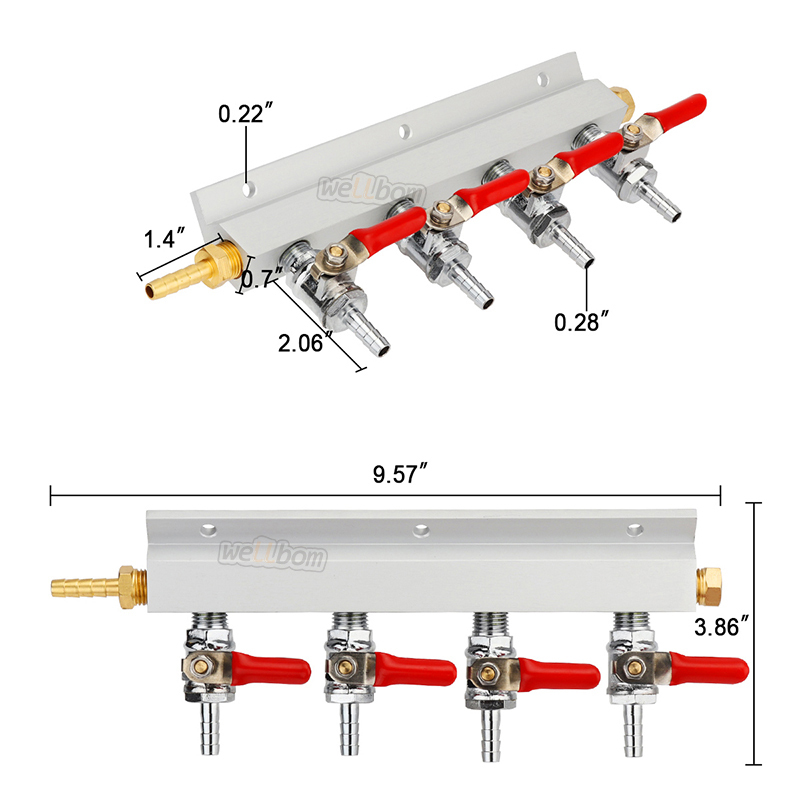 7mm Barbs on outlet valves for use with professional draft installations. 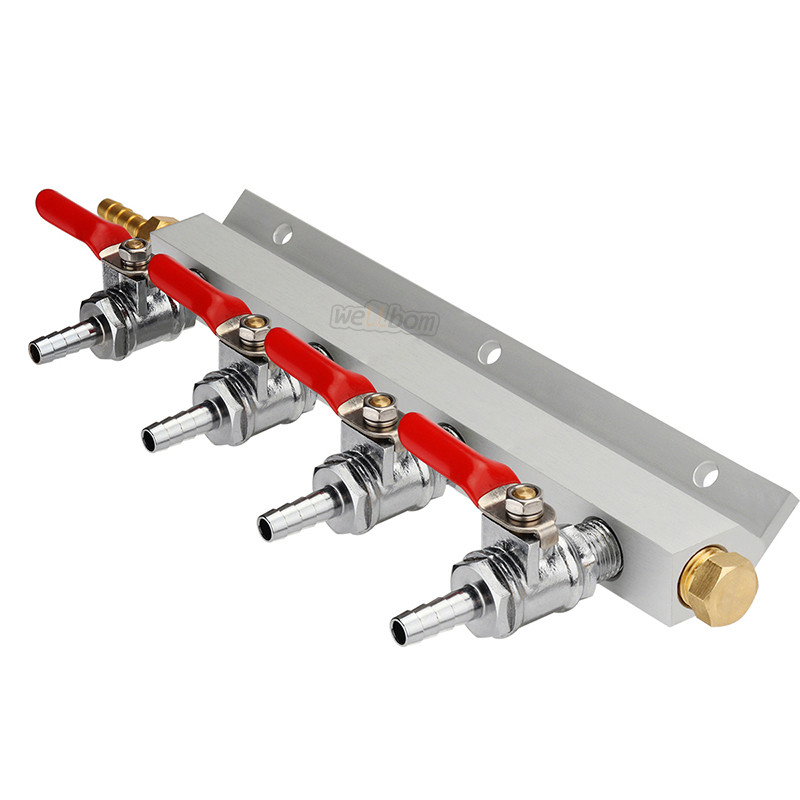 Chrome Plated valves with spring loaded Ball check valve. 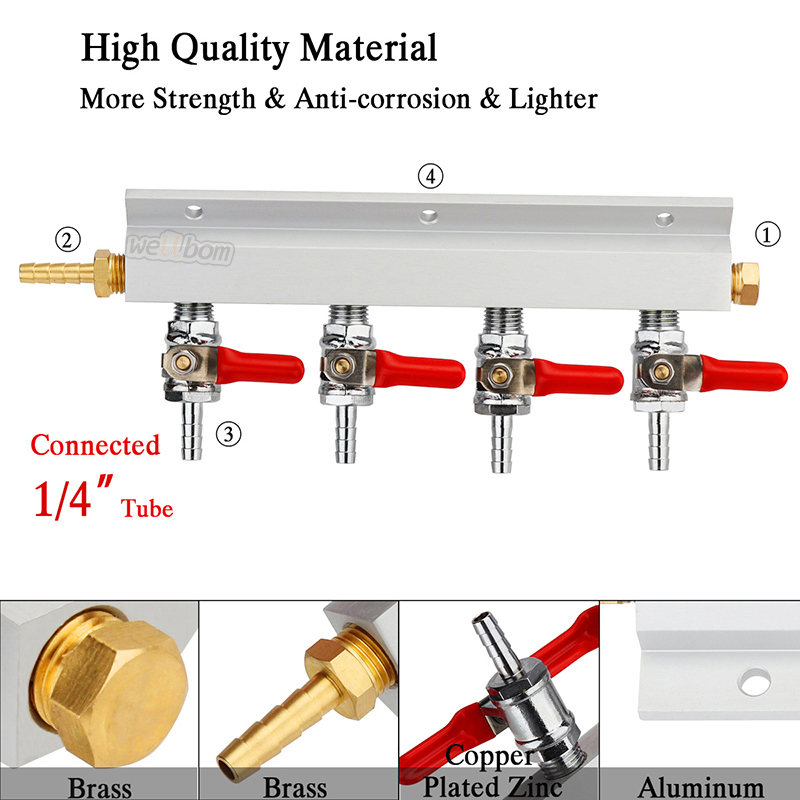 1 Light and Durable aluminum body is lighter than steel but remains durable and long lasting. 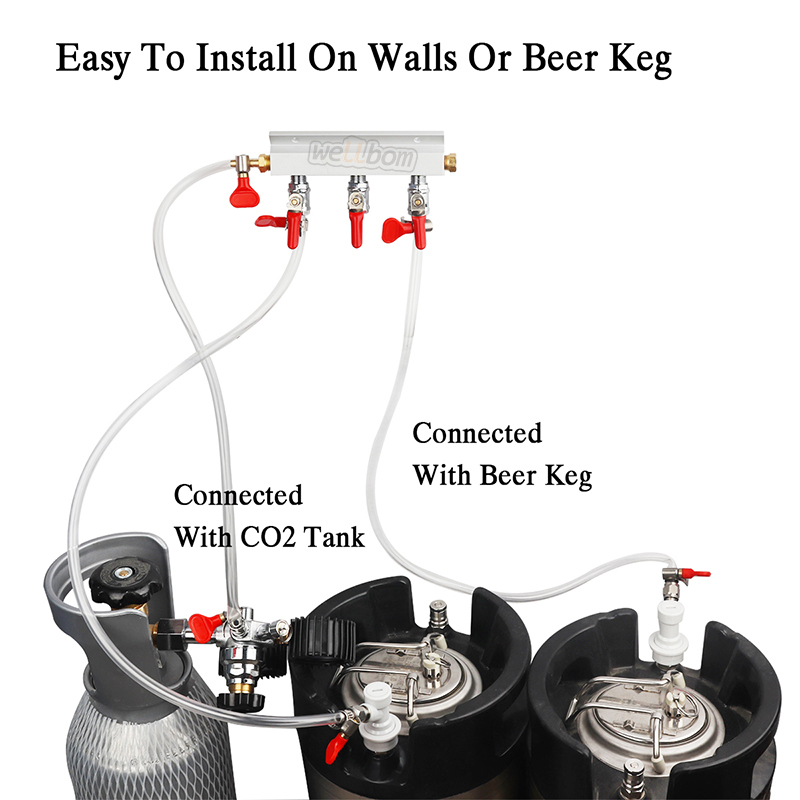 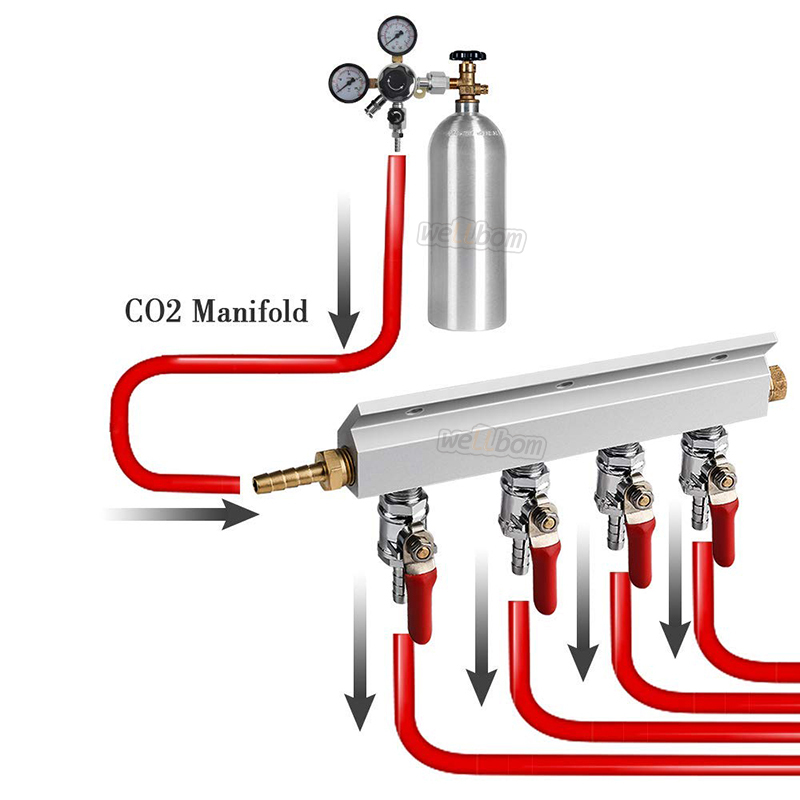 2 Save Money by using a single CO2 tank for multiple kegs. 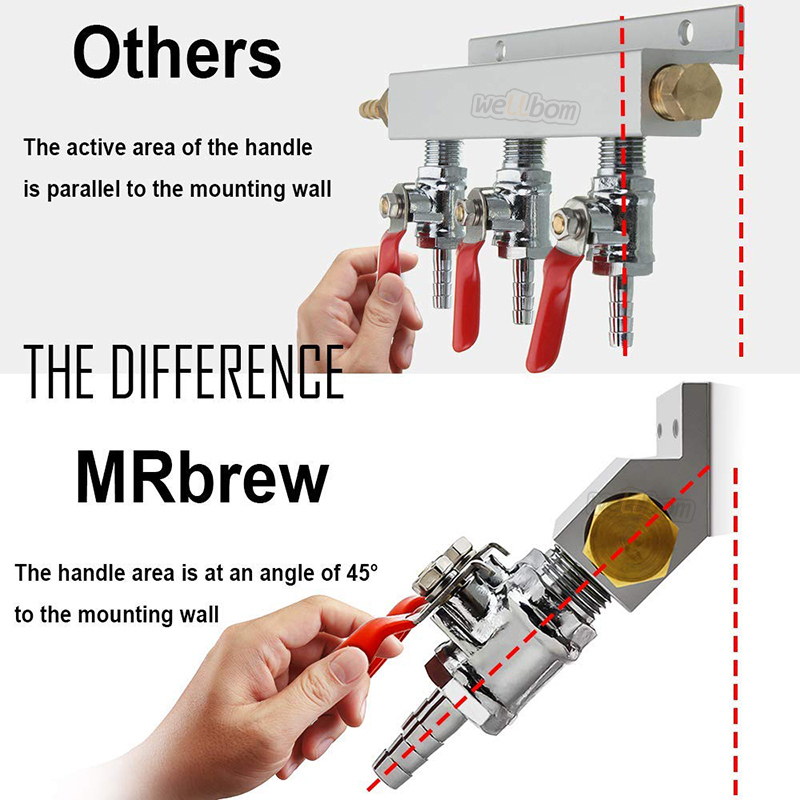 3 Mointing Holes allows for easy installation on walls or kegerators. 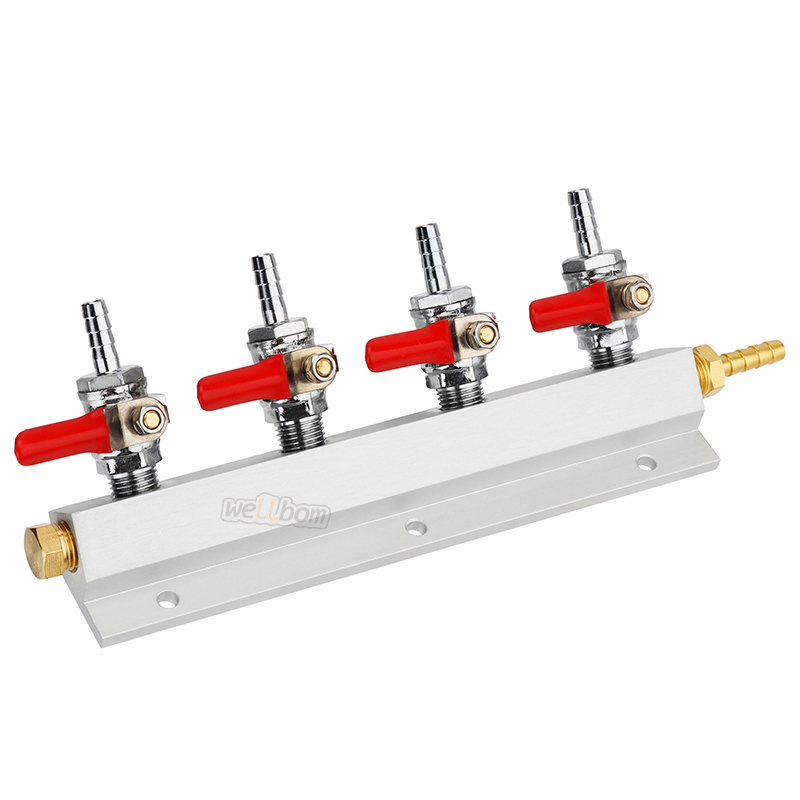 6 Each ball valve also includes a built in check valve to not only protect your regulator but also prevent gas or beer migrating from one keg to another.